Oh what an Irish night that was… For those that were there that night in Derry… Well, it’s our little secret! Lets just say too many Irish named shots (I.e. Irish car bomb, Irish flag, etc.)! But boy! What a night! We woke up… Not feeling that greatest but still up and out by 9am! I was sad to leave the Paddy’s palace hostel in Derry, because it was the first hostel that felt warm and at home. The staff was cheerful and nice, with Christmas decorations all around, a constant fireplace going and a cute cat. It was fantastic. 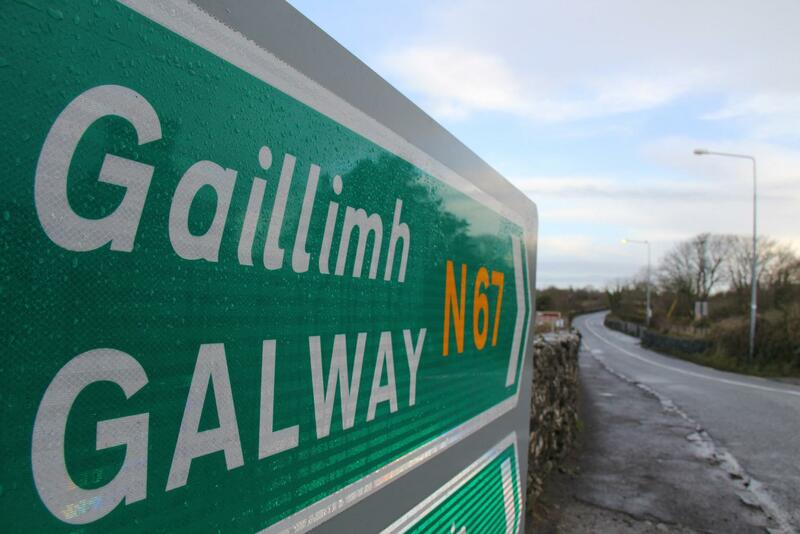 We embarked on a long bus ride to a city that I have been most looking forward to: Galway. With Shawnie, our Irish bus driver, singing some good ole Irish tunes to get over our morning hangover, we drove through the enchanting Sligo! 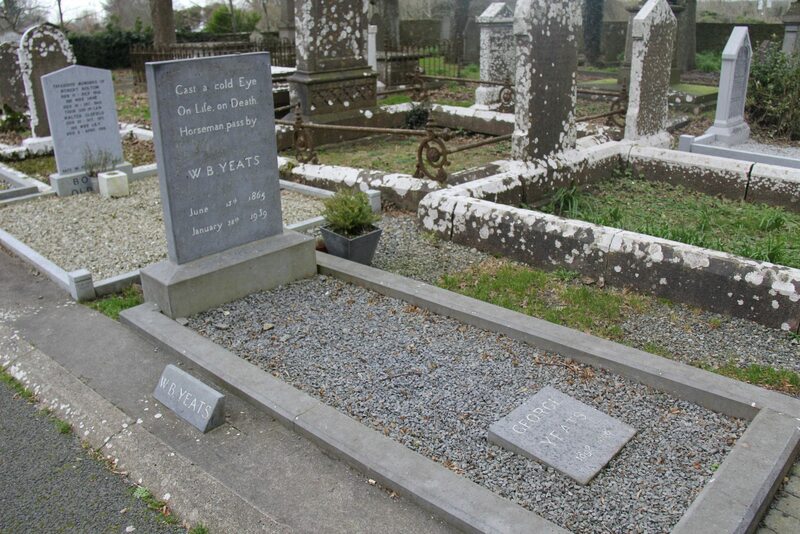 On the way through, we visited the sacred grave of Ireland’s national poet: Nobel Laureate WB Yates. Afterwards, we continued on driving through the vast archeological and cultural richness of Ireland’s North West Coast. As we had a 4 hour bus ride, not including the two stops on the way, we all slept. Well… Tried too. We had a family with two kids on the bus, among many young, wild, party, adolescents, who were probably well rested and bored. So the bus driver put on an Irish kids film about horses… Basically, I’ve never heard so many loud and unnecessary sound effects in my life… Even the music eliciting from my headphones couldn’t drown the noises coming from this headache-inducing movie. I did manage to get 20 mins of sleep; so that’s cool. We finally arrived at our hostel in Galway (Sleepzone) and I slept in a 12 person room. Besides the unfortunate amount of people I had to sleep in a room with, the hostel was amazing! The staff again were very nice, and the place is beautiful! It doesn’t even look like a hostel! Even better! Eventually, Freya and I hit the city center in Galway, where we went to the Christmas market, then Eyre Center (where I got my Christmas jumper at Penny’s, aka Primark of Ireland) and ventured to Shop street. You can imagine what was on this street. Loads and loads of little shops! 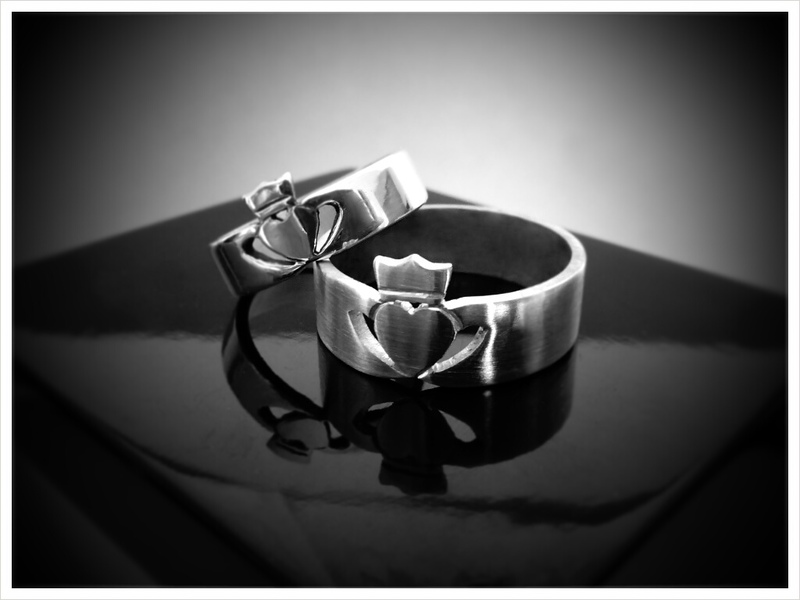 Galway is known for there Claddagh rings, which basically is a heart, in front of two hands, in front of a crown. The heart is for love, hands are for friendship, and the crown is for loyalty. Many locals buy these rings and give them to the ones they love or a great friend. They are very symbolic and Freya ended up getting one of them! After shopping, we walked around Galway at night and headed back to the hostel to get ready for dinner with the rest of the Paddy Wagoneers! We went to this cool Irish pub called Skeffs and had dinner and strawberry daiquiri’s. 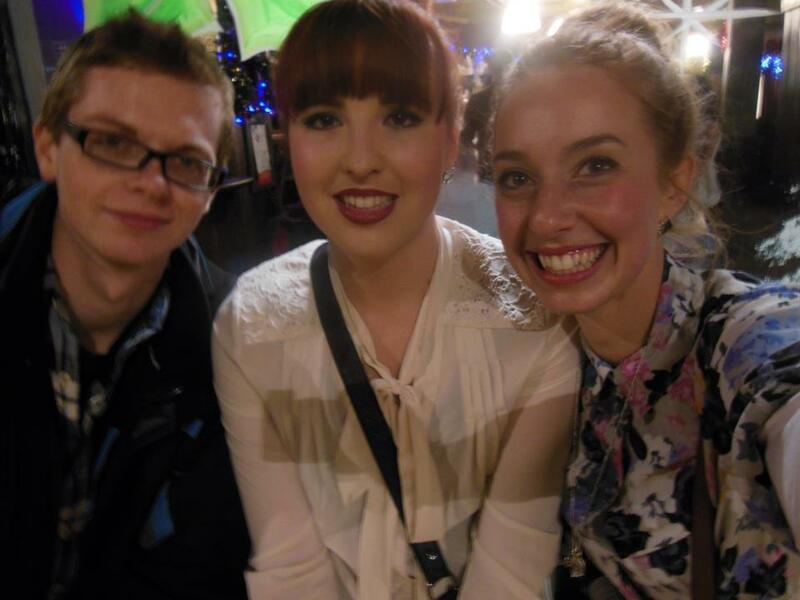 We ventured to another local Irish pub (The Quays) with live Irish music, which was really awesome! Reminds me of my favourite Irish pub back home! That night in Galway was the last night we will be with our other Paddy Wagoneers, as they are all on a 6 day tour of Ireland and Freya and I are on the 10 day tour and continuing to stay in Galway for 3 nights. It was extremely sad to see our new friends go. We’ve made some amazing friendships on this tour and I wish we could spend more days traveling with them in Ireland. Planning a trip to Ireland for a few days or even a week or two? I highly recommend taking an intensive and well-worth tour of Ireland with Paddywagon Tours. I personally recommend that it is the best (and often quickest) way to see as much as Ireland as possible in your travels. On my 4th day in Ireland, I got the amazing opportunity while staying Galway to travel to the Aran Islands, which are among the many hidden gems of Ireland. 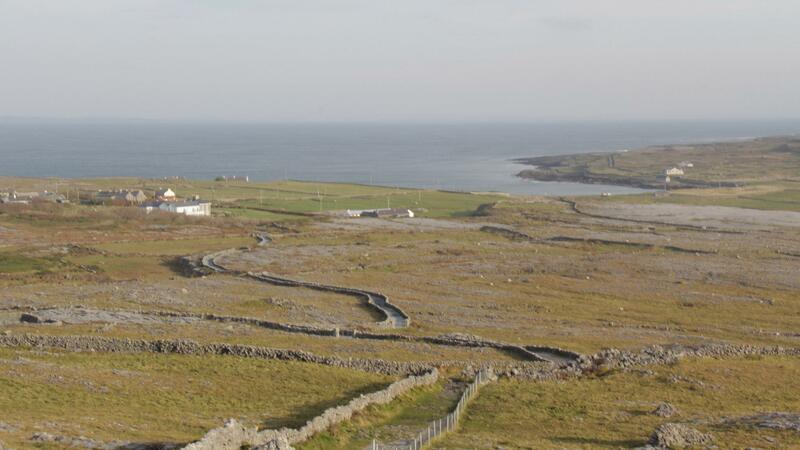 The Aran Islands constitute of three islands situated at the mouth of Galway Bay, on the west coast of Ireland. The islands from west to east are named: Inishmore, Inishmaan, and Inisheer. Inishmore is the largest island and the one I was told to visit. You will have to take a coach from Galway to the docks outside of Galway where you get a boat ride to the Aran Islands. There are travel companies in Galway that offer this coach+boat ride deal to the Aran Islands, so it should be no problem getting there. When I arrived to Inishmore, there only seemed to be one bus tour awaiting for tourists to arrive. Because I went during the winter time (extremely low season), there was only 3 tourists on the whole entire island. It was absolutely deserted and we had the whole island by ourselves to explore. It was so surreal and amazing. In terms of getting around the Island, there are bikes for hire (great option during nice weather/summer time, but beware that it is extremely hilly and exhausting), as well as cheap bus tours. I took a bus tour of the Island with a local who spoke very interesting english, and fluent Irish. He even had a leprechaun dangling from his front mirror. 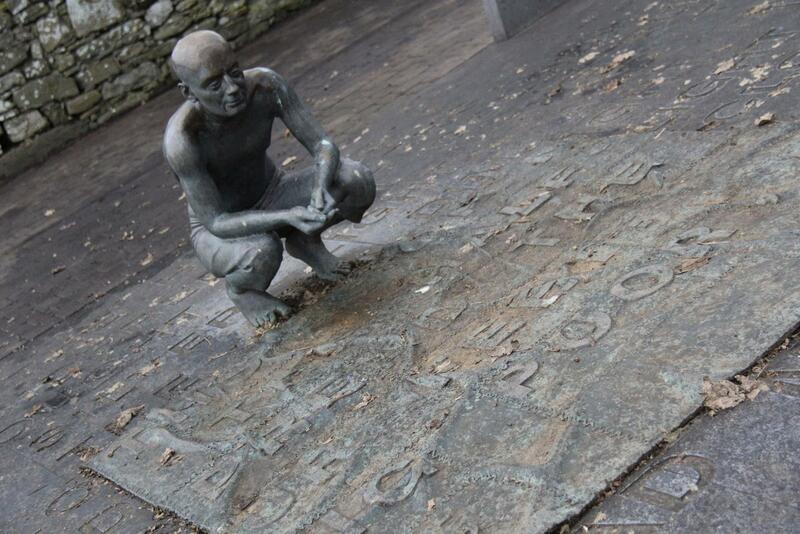 He was full of knowledge and taught us about the island and its history. The island is constructed of limestone, and by this, I mean there are hundreds and thousands of limestone walls around the fields. 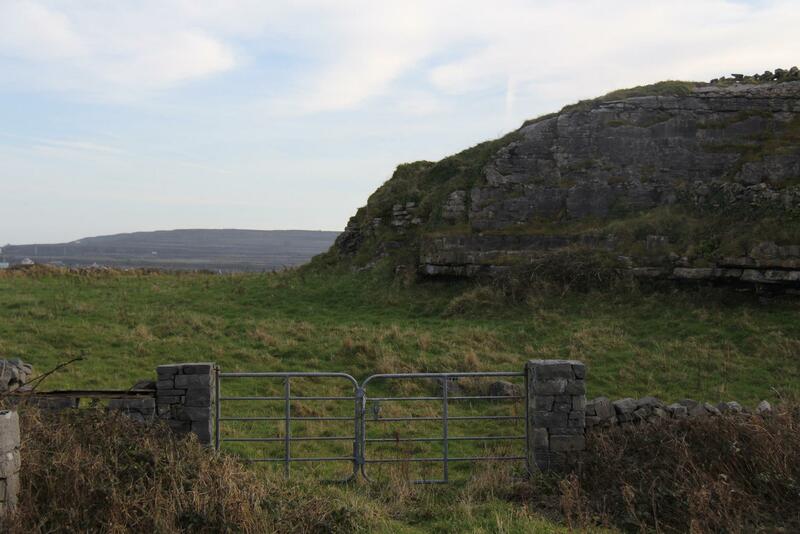 The island was entirely made of limestone and almost inhabitable, but with hard work and dedication from the Irish locals, they gathered great amounts of limestone and constructed unaccountable amount of walls around the entire island. It was miraculous to see in person. I don’t think I’ve seen anything like it. 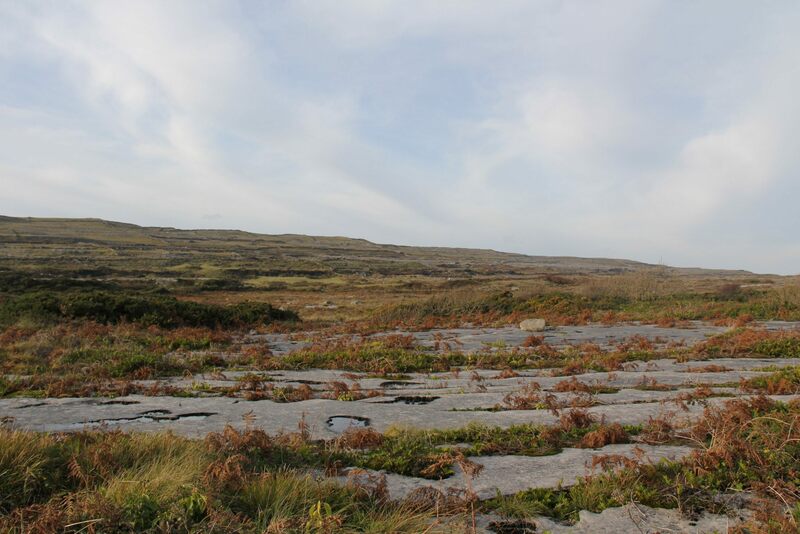 On the tour, we were dropped off at Dun Aengus for about two hours to explore an ancient stone fort, with an amazing view of the coast, as well as shop and eat in the little village. The nature walk to the ancient stone fort was beautiful and relaxing. This ancient stone fort was my favourite site on the island, because of the spectacular view. 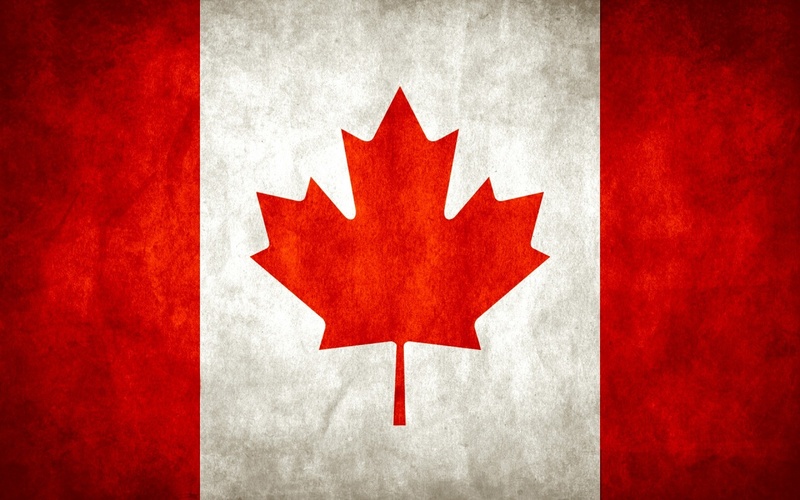 Be careful along the edge of the cliff because there are extremely strong winds and no guard or rail to protect you from falling over the edge. This does offer some amazing photography opportunities however. If you don’t believe me, then take a look at the view from the edge of the cliff. The island is completed isolated and you get that feel when you drive around the island. It almost feels like the inhabitants are still living in the 1930’s. 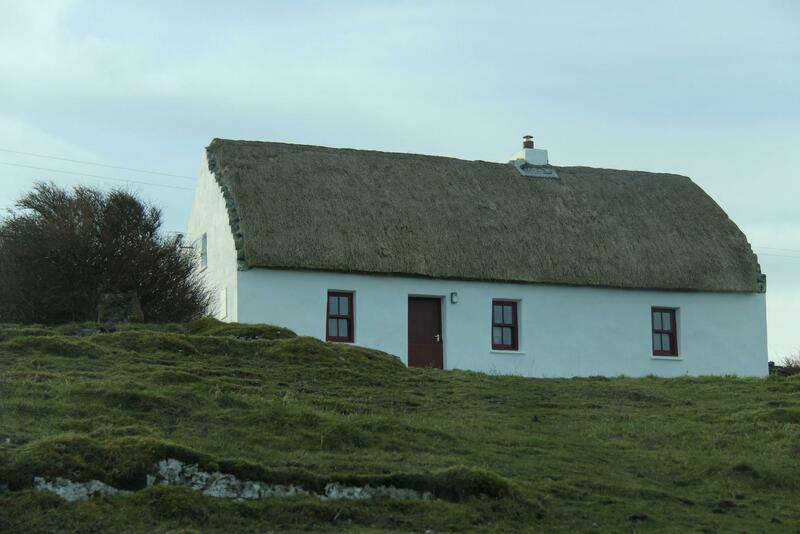 Many of the houses on the Aran Islands are thatched homes, which are so interesting to see and learn about. Here is an image of one of the thatched homes. and walls). I spent the remainder of the day checking out all the little shops that offer homemade clothing by the local inhabitants, as well as the famous Aran sweaters. I ended the day if a chill visit to one of the local pubs and, of course, a fresh pint of Guinness. The server even put a four-leaf clover on the top of my Guinness (as they often do this for tourists) and this made my day. Overall, I had an amazing day on the Aran Islands, and it was something different to see. A place I had not expected, and still one of my favourite, and most relaxing places I’ve travelled too. If you do get a chance, it would be interesting to go during a high-peak seasons for tourists, like the Spring or Summer. 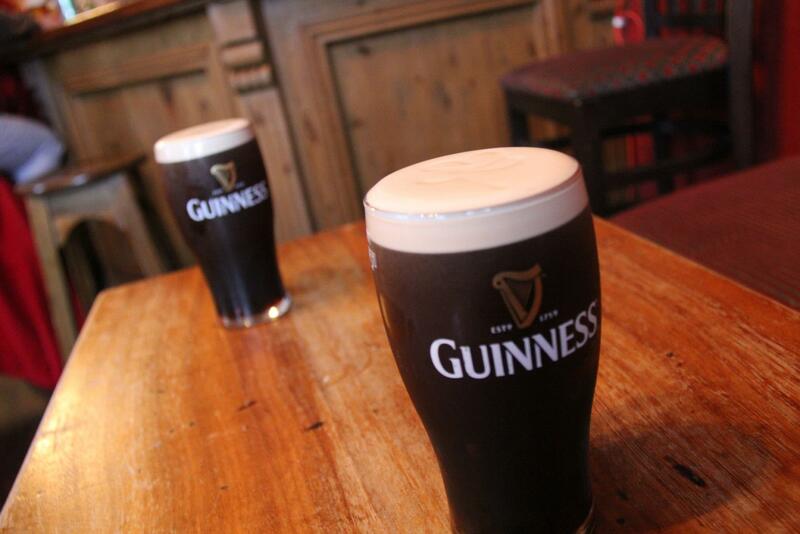 Also, make sure you finish the day off with a pint of Guinness!